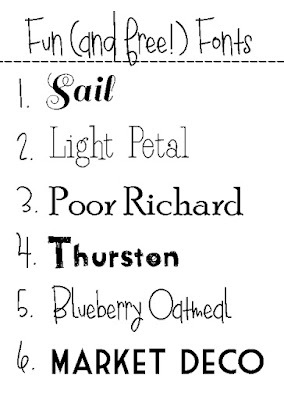 Today I'm sharing another round-up of some of my favorite handwritten fonts (that also happen to be free). If you're not sure how to download and install fonts on your computer, here's a great tutorial. Happy downloading! Want even more free fonts to download? Check out my previous font round-ups here, here, here, and here.